Genius presents the first USB powered subwoofer speaker system, SW-U2.1 200. The satellite speakers have a 2.5inch copper unit driver inside a glossy black surface. Also, there is a hook design on the back if you want to hang them up. SW-U2.1 200 has a 3inch bass driver in a wood cabinet for deep sound performance. It is perfect for your PC, notebook, and other audio devices using a 3.5mm audio cable. The big volume knob on the subwoofer is convenient to control. 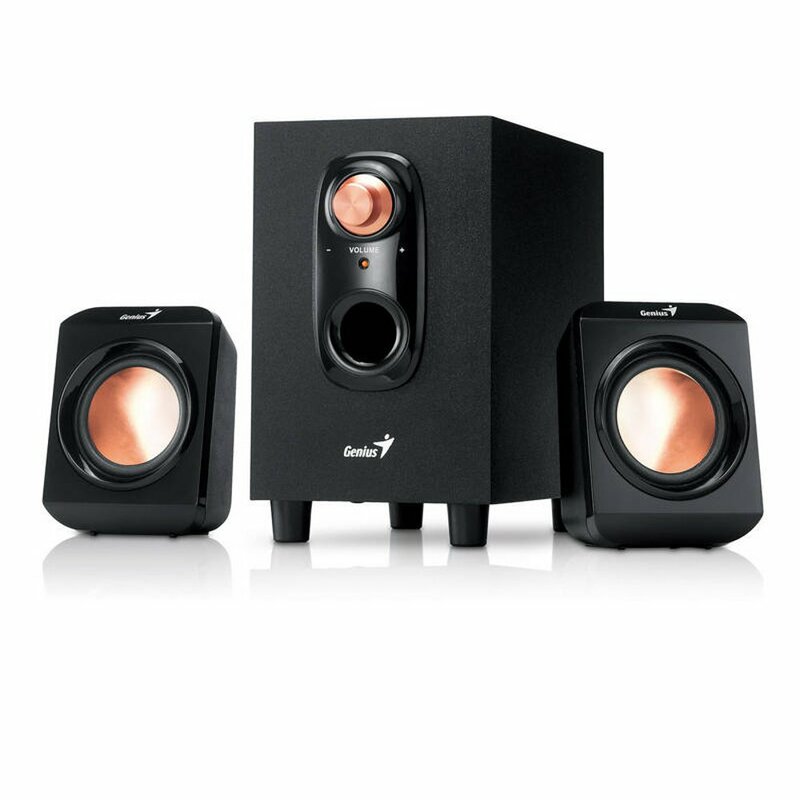 The SW-U2.1 200 2.1ch speaker system is ideal to listen to music and play games.